The SMU International Moots Programme was launched by SMU School of Law in 2009. In the first five years of the Programme, SMU international mooters won many accolades, including 11 international moot championships in 21 finals appearances and more than 50 Best Oralist and Best Memorial prizes. A notable achievement was in 2013, when SMU became the youngest ever law school to reach the international final of the Philip C Jessup Moot, a feat it repeated in 2014. To ensure long-sustainability for the Programme, the International Moots Alumni Group (IMAG) and International Moots Alumni Fund (IMAF) were created. IMAG and IMAF were launched on Friday, 19 December 2014. 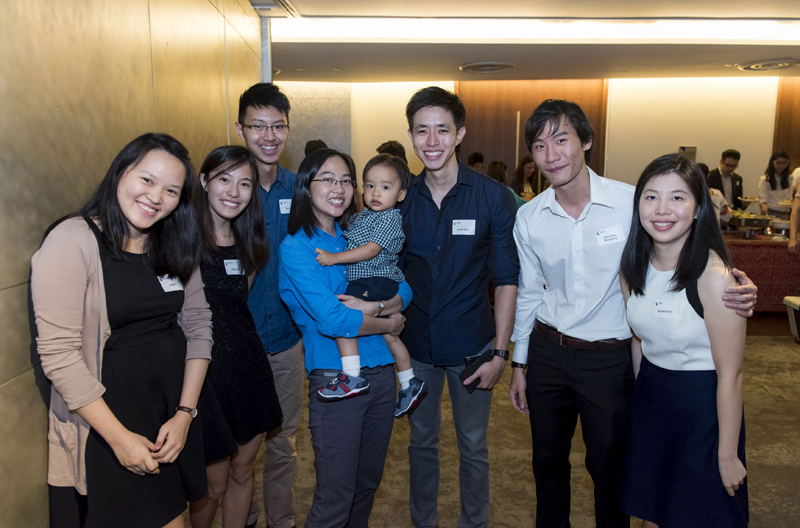 The launch, which was held at the Alumni Lounge, was a great success, drawing a crowd of 80 past, present, and future international mooters. It was heartening to see alumni from all batches mingling with each other and immersing in the ideals of IMAG. Maximising the contributions of our alumni to the International Moots (IM) Programme. Alumni who have previously participated in an International Moots competition will automatically be included as members of IMAG. Other alumni/benefactors can join IMAG with a yearly contribution of $500 or more, to the IMAF.